Hi, my name is PJ D’Amico from the Brace Family YMCA. I was originally born in Voorhees, NJ so growing up I have always been a huge Philadelphia sports fan, leading me to attend Villanova University in the fall of 2018! I am majoring in Civil Engineering with an intent to eventually work for Walt Disney World! Even before making it to college, I have learned that in order to reach the stars you need to be able to have even larger aspirations. 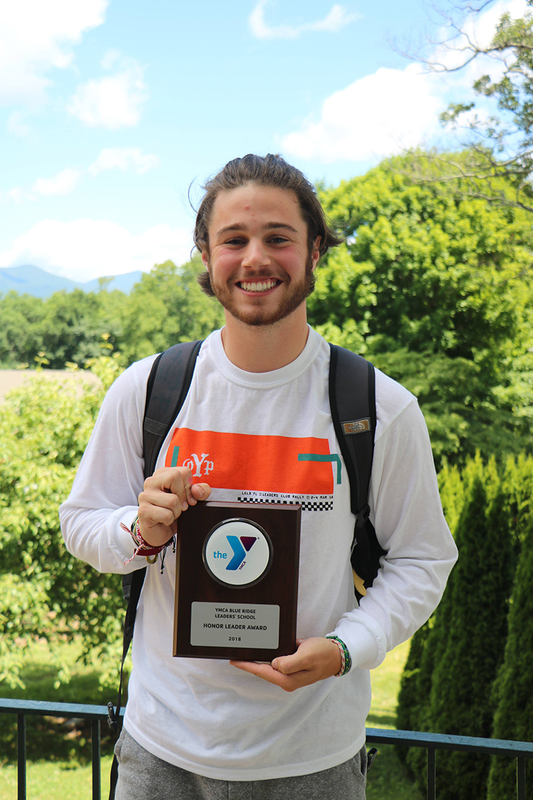 This upcoming year will be my fifth year on the mountain, and without Leaders’ Club and Blue Ridge Leaders’ School I would not be the man I am today nor would I have the support around me that I do right now. In all honesty, I was never motivated to join the club like most people but rather I was thrown into it and have never looked back. Out of my years on the mountain, my favorite part of it all would have to be the free time each and every day because it provides an opportunity to just unwind and truly reach out to those around you.